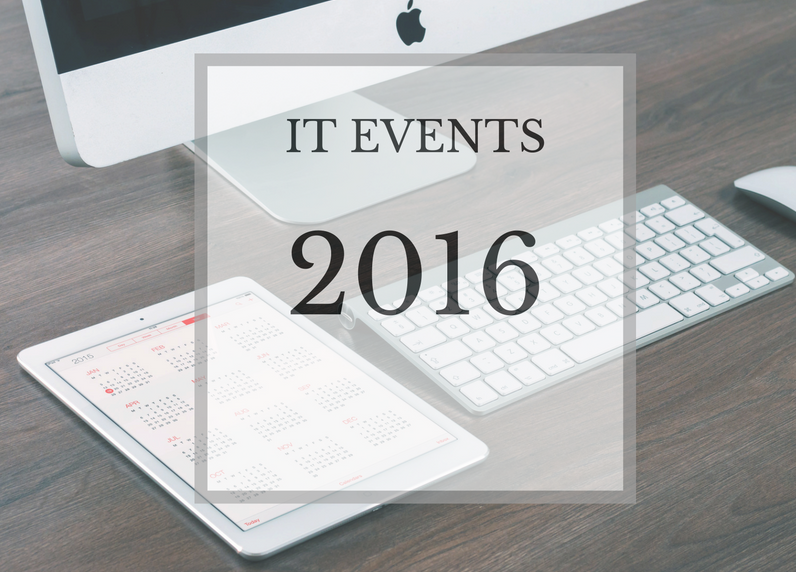 IT Outsourcing Review Blog has gathered the information on the forthcoming IT events taking place in Ukraine. You will definitely find something that will be within your interest. III International Conference AI Ukraine - Ukraine's largest highly specialized conference on Data Science, Machine Learning, Big Data and Artificial Intelligence. The event takes place on October 8-9 in Kharkiv. The program consists of 26 top speakers, including guests invited from abroad, as well as communication and experience exchange with over 500 participants. The conference will be useful for Data Scientists, Machine Learning and Big Data Developer, BI engineers, analysts, data, researchers and entrepreneurs, software developers, business analysts, Solution and Database architects, CTO and all who are interested in AI and Data Science. 5th International IT Business Conference takes place in Kyiv on November 4-5. The conference gathers 1200 CEOs, Founders, COOs, Sales, Marketing and Project managers of leading IT-outsourcing companies from Ukraine, Belarus, Poland and the Baltic countries. The conference will be divided into 6 sections: Business Straregy, Sales & Marketing, Project Management, E-commerce, Own Product, Work4Startup. IT HR Forum is the perfect platform for both obtaining knowledge and networking. For 3 years of its existence the Forum participants geography has significantly broadened. Today it has spread over Ukraine, Russia, Belarus, Latvia, Lithuania, and Moldova. Active communication and networking established in the game mode definitely helps to develop oneself. Forum takes place in Kyiv on October 14-15. On October 14-15, all Java-engineers gather for the final event in the series of this year's JavaDay Ukraine. The conference is held in three cities of Ukraine for the second year in a row, and 6 years generally. Traditionally, the organizers showed a qualitatively new and higher level of the organization and reports since the start in Lviv. The organizer suggest over 50 presentations expecting for 1000+ guests. On October 15 Lviv holds a large-scale conference devoted to Ukraine freelance and small outsourcing, Lviv Freelance Forum 2016 Autumn. The conference is expected to bring together 300 IT freelancers, owners and leaders of small and medium-size outsourcing companies from around the country. Up to 40 speakers are invited to share their experience on the three main platforms: -	Bid & Tender includes the tips for working on UpWork, writing successful client proposals, build up the appropriate business reputation and attract new clients; -	Evolution – successful freelancers share their experience from what they’ve already got from high ratings on UpWork but still consider how to move up in their career, as well as success stories from freelancers opening their own startups; -	Outsourcing Business – is open for the owners and top managers of IT outsourcing and service companies telling how to successfully run the business, build up a team, and establish the corporate culture and healthy atmosphere in the company. For the first time on October 29 Kyiv will host a conference #bacon.itnetwork. This is the first large conference in Kyiv of the kind, which is devoted to business analysis. As part of the conference, the best specialists in the field of system and business analysis will speak out. The special item of the conference program is a lively discussion with HR specialist. At the conference, you will be able to communicate with experts in the field of business intelligence, which will help you to find your own path of development. And, finally, #bacon.itnetwork is a wonderful holiday in the circle of like-minded people in a friendly atmosphere, as well as an excellent opportunity to acquire useful contacts and acquaintances.